49 Comments	This post may contain affiliate links. 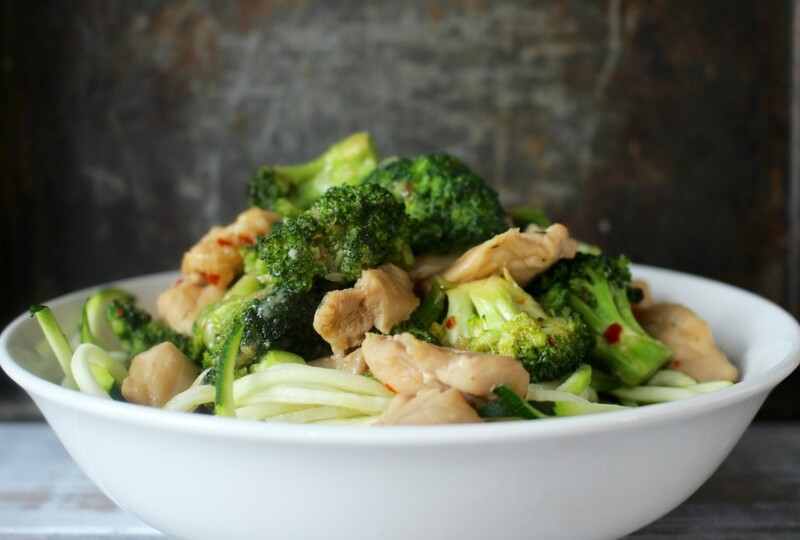 This Paleo Chicken and Broccoli is one of my favorite meals to make. 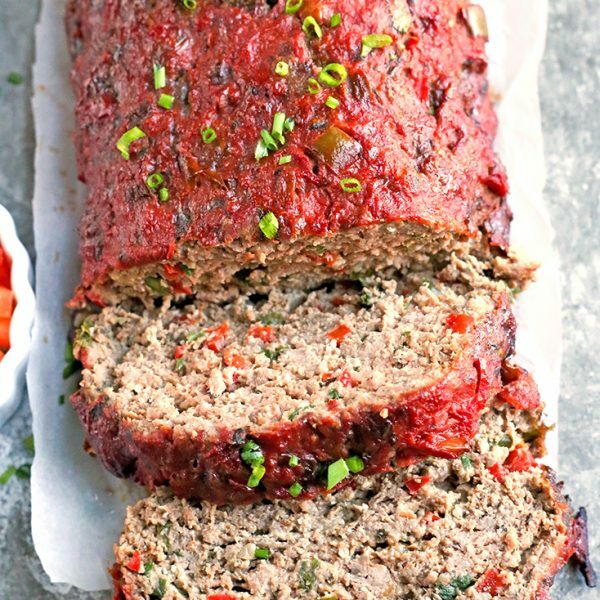 It is so quick, has so much flavor, and is Whole30 and gluten free. 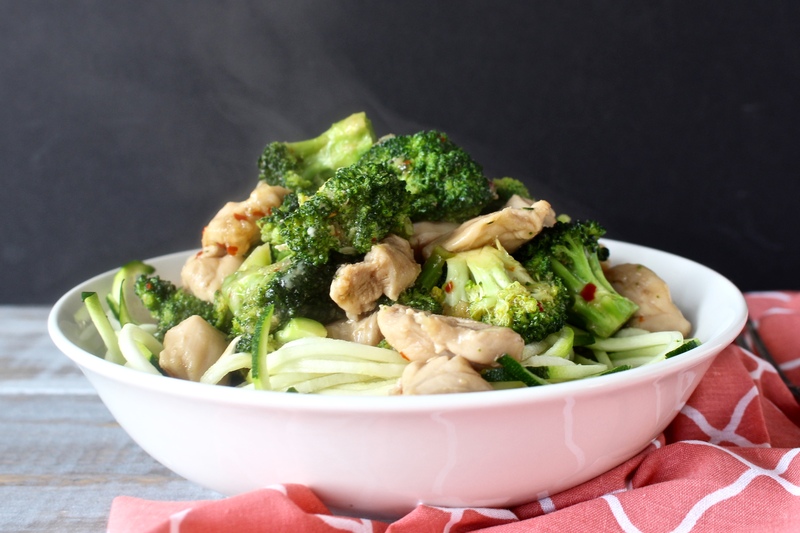 When my husband and I were first dating, he would get chicken and broccoli for lunch every day from a local chinese restaurant, eat it at the gym (where we worked), then work out afterward. I would come in early for my shift so we could hang out and I would sit with him while he ate. So many things have changed in these 9 years, but his love of this dish hasn’t. The crazy thing is, he hates cooked broccoli but loves it like this! Here are the ingredients you’ll need. That toasted sesame oil is so important!! 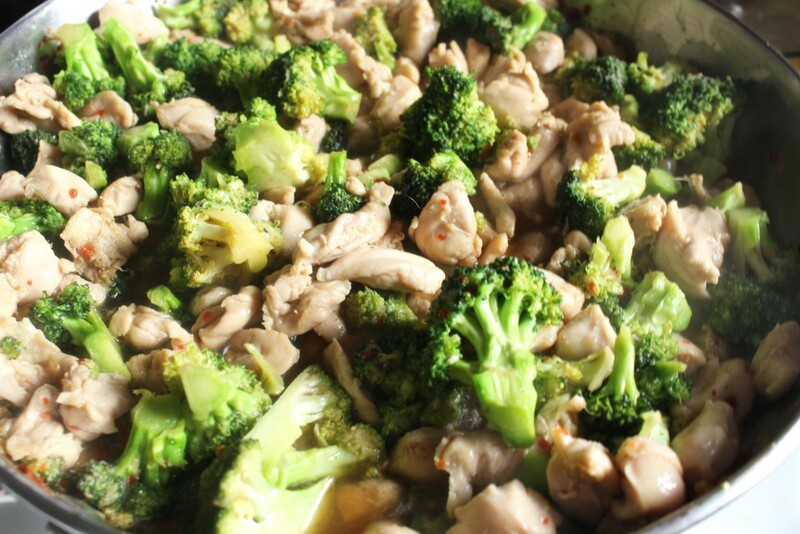 That is what gives the chicken and broccoli the signature taste and a little is all you need. The broccoli will seem like too much at first, but it cooks way down. I like to use dark meat for this because it is hard to over-cook, has more flavor, and is cheaper. Feel free to use chicken breast if you want though. 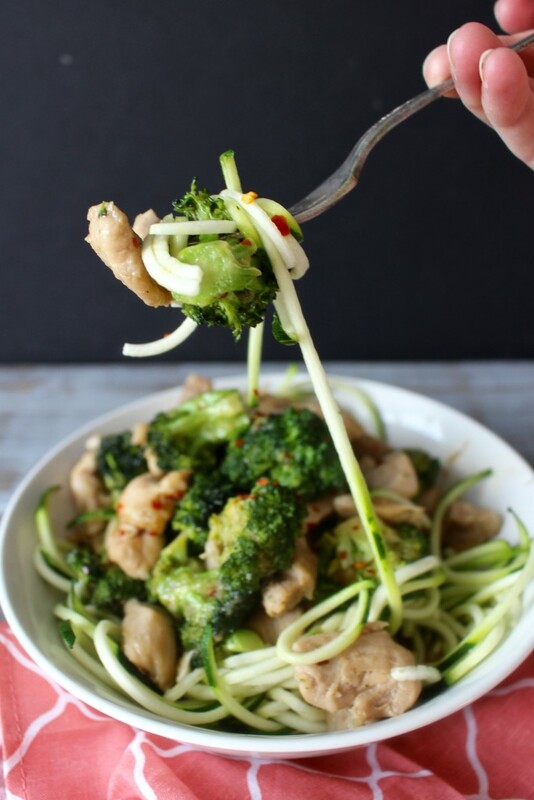 In a large skillet, add the oil, broccoli, ginger, salt, garlic powder, red pepper flakes, and coconut aminos. 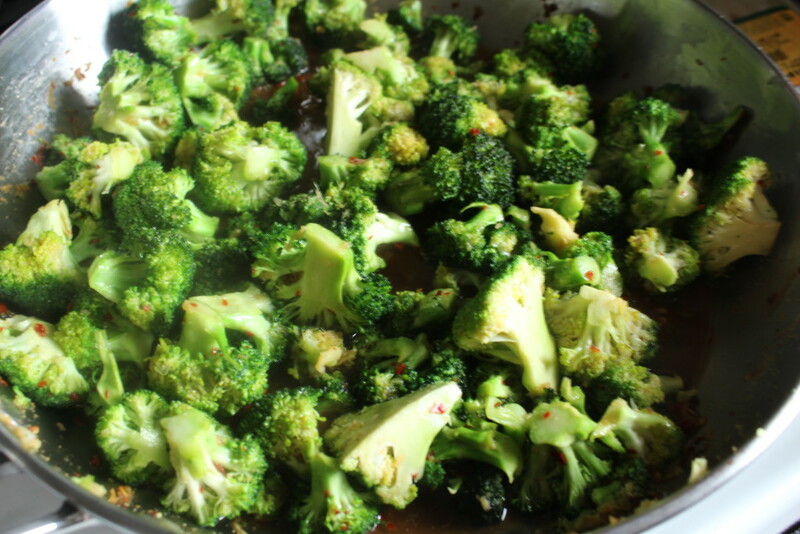 Cook over medium/high heat for 5 minutes until the broccoli starts to become tender and turns bright green. Add in the chicken and turn the heat to high. 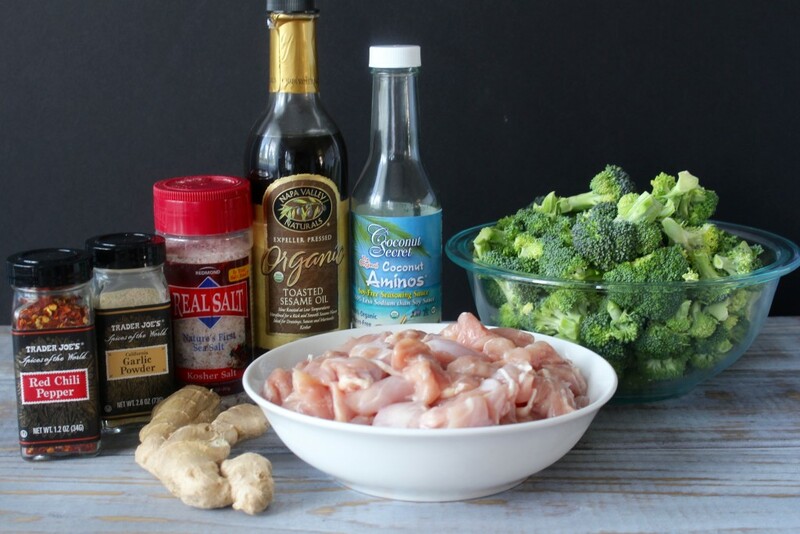 Cook for 5-7 minutes or until chicken is fully cooked through. If desired, add 1 tablespoon of tapioca starch and stir well- this will thicken up the sauce. 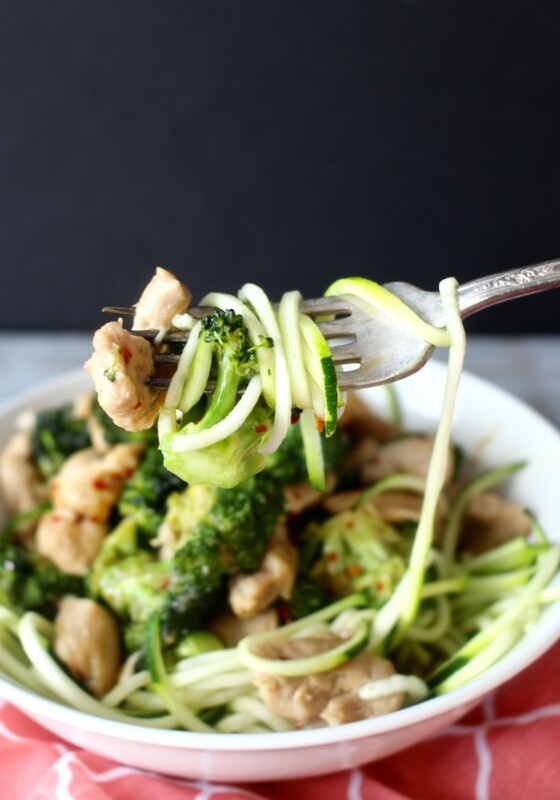 Serve over zucchini noodles or cauliflower rice. 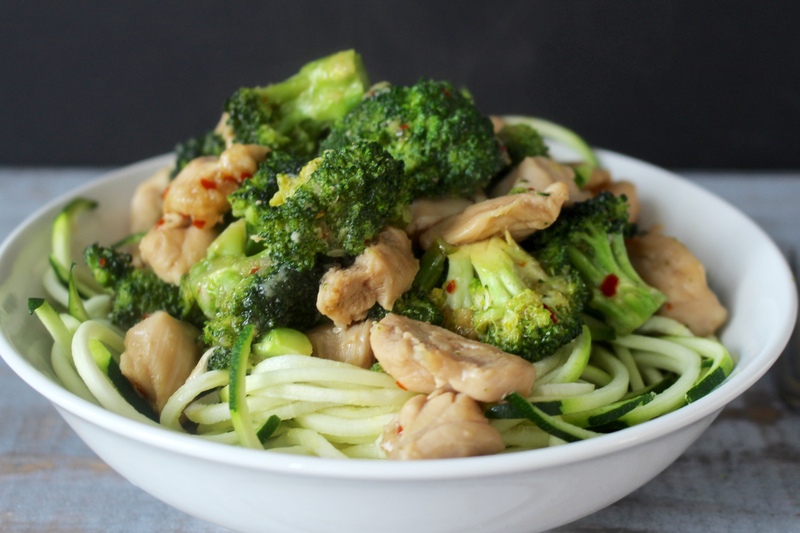 Like I do a lot of times, I prepped the broccoli and chicken ahead of time so this meal came together in just over 10 minutes. 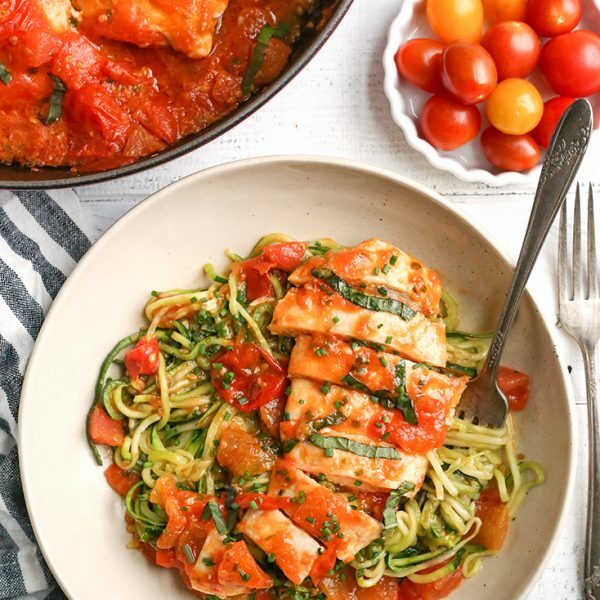 That includes spiralizing the zucchini while the chicken was cooking! I love how easy it all is! 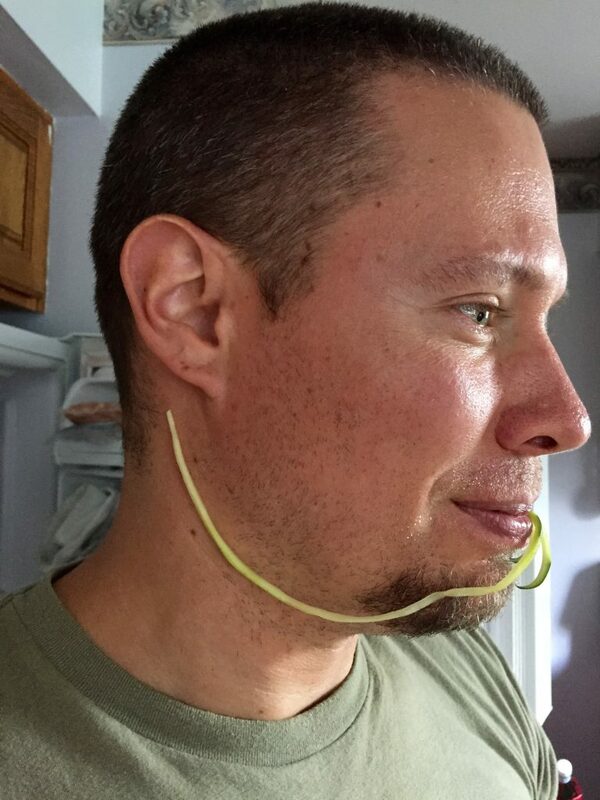 …even if they are a little out of control! This does have a little spice, not too much, but you may want to adjust the red pepper to taste. 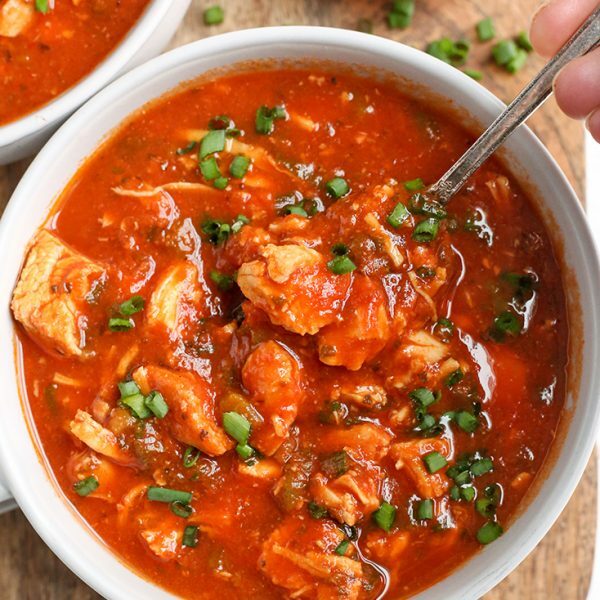 This is such a great meal for summer when you don’t feel like heating up the house and want something quick and healthy. You may also enjoy my Paleo Beef and Broccoli. Place oil in a large skillet and add broccoli, ginger, salt, garlic powder, red pepper flakes and coconut aminos. 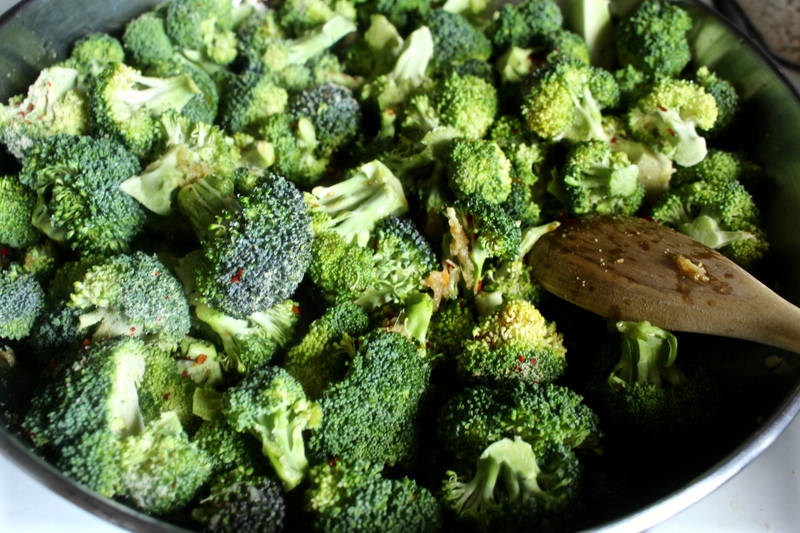 Cook over medium/high heat for 5 minutes until broccoli starts to soften. Add the chicken and turn the heat to high. 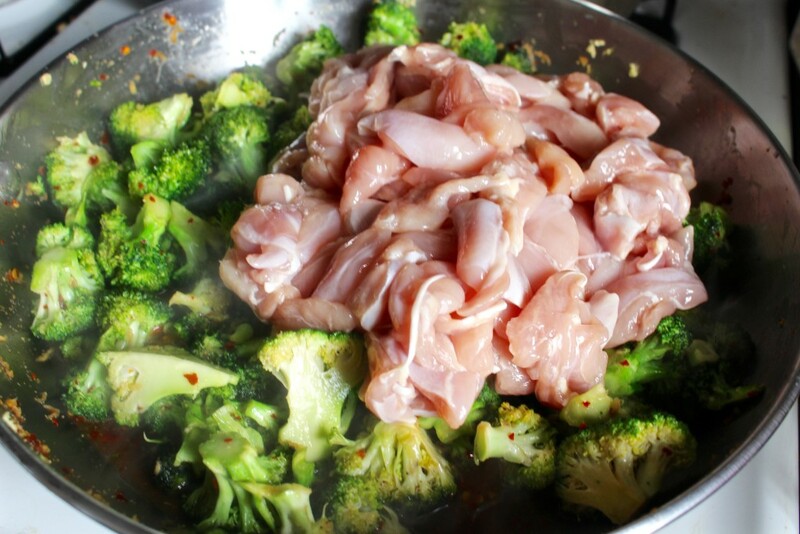 Cook until chicken is fully cooked, stirring regularly, about 5 minutes. If desired, add tapioca starch and stir well until sauce is thickened. Can’t thank you enough for this recipe. 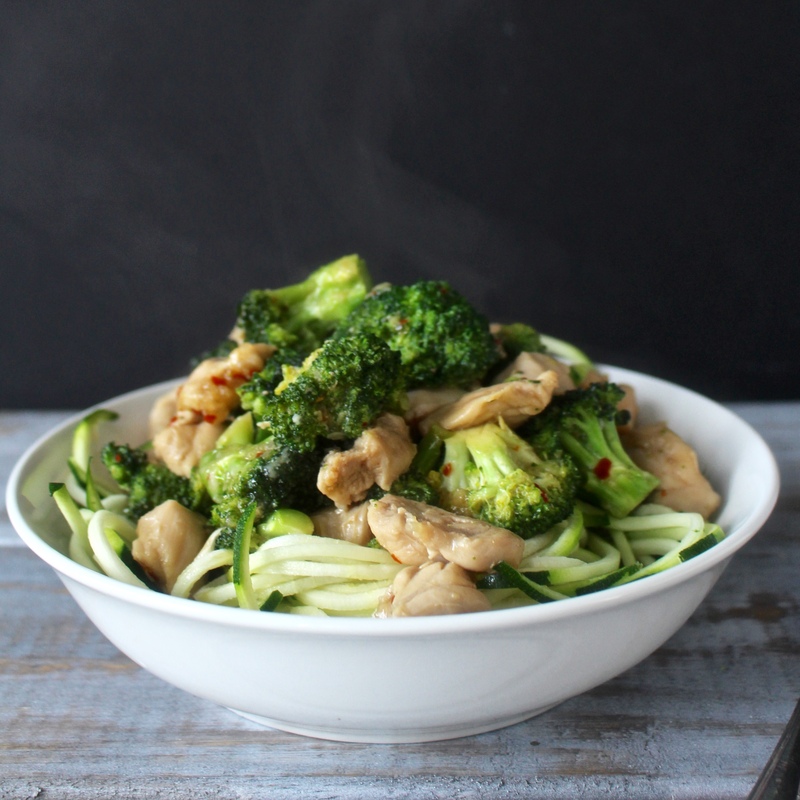 I was struggling with chicken and broccoli (eating a lot of it atm) but this recipe has made it so I can’t wait for lunch. You’re welcome, Aaron! So glad you’re enjoying my recipe! 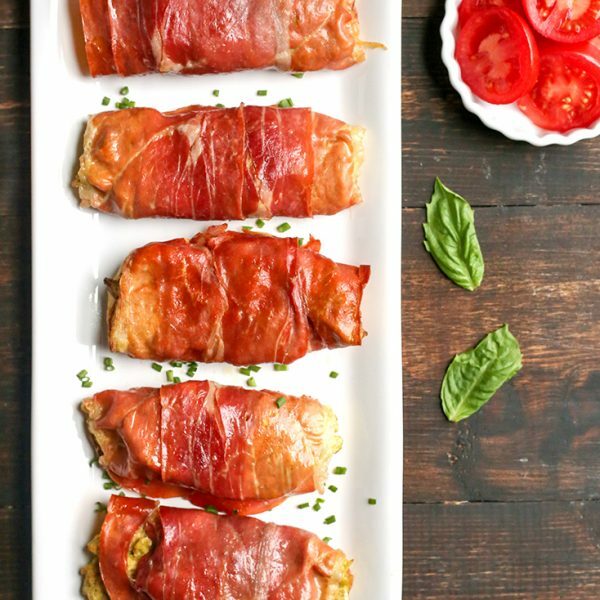 I just finished eating this recipe and it’s amazing!! I felt like I ate take out. I had to add a red bell pepper to it because I was short a cup of broccoli. Still, it was great!! It was quick and easy too!! Thanks, Debora! So glad you like it!